Life Span: 6 – 8 years. 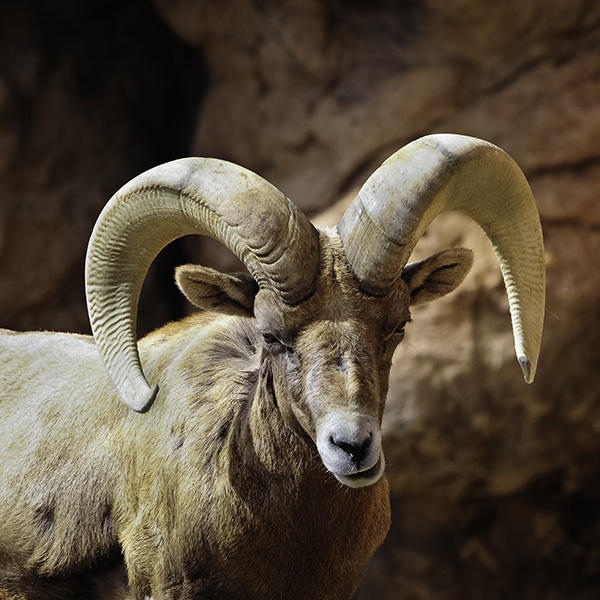 A ram in the river mountains lived at least 18 years. A ewe in the last chance range lived at least 19 year. The number of Desert Bighorn sheep in North America in pristine times is unknown, but most likely in the tens of thousands. By 1960, the overall population in the United States had dwindled to 6,700 – 8,100. These declines were attributed to excessive hunting, competition and diseases from domestic livestock, particularly domestic sheep; usurpation of watering areas and critical range by human activities; and human-induced habitat changes. Since 1960, after the adoption of conservation measures, the population trends have been upwards. In 1993 the population estimate was 18,956 – 19,040. Water developments have been and continue to be constructed in habitats deemed deficient in water. Although rams may go 3 days without water, ewes and lambs come to water holes almost daily during the hot, dry summer months. During the rutting season in july through september, dominance among rams is established in contests in which two rams may clash horns. It has been estimated rams may meet head-on at a combined speed of approximately 30 mph.